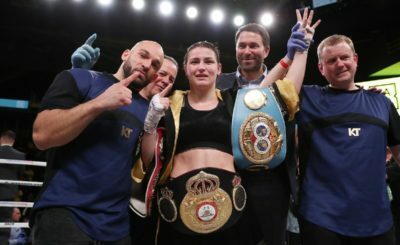 Katie Taylor clinched the WBO lightweight championship title in a career-topping performance against Rose Volante in Philadelphia last night. Having already secured the WBA and IBF belts, the win moves the Bray woman one step closer to unifying the division and in the process makes her the first Irish fighter in the modern four belt era to hold three world titles at the same time. WBC champion Delfine Persoon of Belgium now stands between Taylor and undisputed champion status. The 2012 Olympic gold medallist stopped Volante for the first time in her career in the ninth round in what was arguably Taylor’s most physical fight to date. 👑👑👑 3 OUT OF 4! @KatieTaylor just needs one last piece to solve the Undisputed puzzle! A spirited Volante threw 419 punches to Taylor’s 374, yet only managed to land 91 of those compared to Taylor’s more clinical 149. “The Queen” Volante came to the Liacouras Center to do battle for her own shot at unification, however, in the end, relinquished her crown to the mesmerising Taylor. “I knew all along she was going to come to fight,” said a noticeably bruised Taylor afterwards. “She’s a very, very proud champion, an undefeated champion, so she was everything I expected tonight. She came to fight, and that got the best out of me as well. In what was a punishing affair, the powerfully built Brazilian withstood Taylor’s onslaught of quick combination punches and strategically placed body shots. Taylor for her part too felt the physicality of the contest although Volante never looked like landing a significant blow, a slight slip by the Bray woman at the end of round two the only cause for concern. 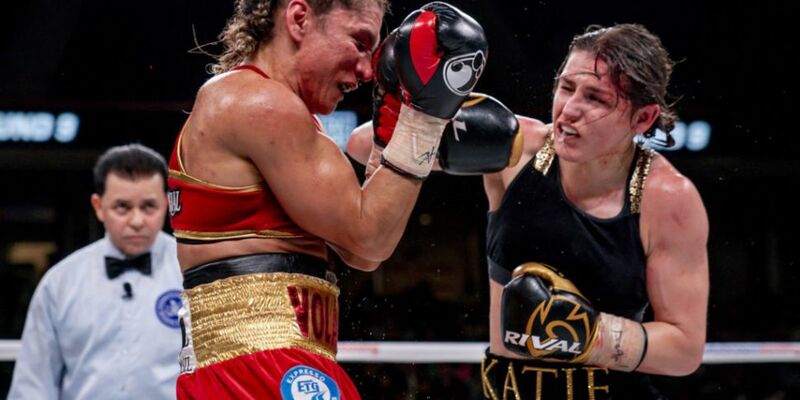 Volante started the contest aggressively, immediately backing Taylor into a corner but the 32-year-old was unfazed and quickly began measuring her previously undefeated opponent, a strong right hook knocking the Sao Paul native to the floor. Volante made it to her feet after a seven-count yet appeared unscathed and quickly reengaged Taylor with some strong right hands. “I knew she was going to put pressure on me right from the start, but I think a lot of these girls underestimate my own strength up close. I can mix it with anyone in there. I love fighting up close,” added Taylor. Another hard right by Taylor was returned at the beginning of round two but Volante met the bell with a cut appearing from her right cheek. Taylor appeared in control of the contest by round four landing some heavy blows but still the Brazilian came forward. Taylor if anything appeared to up her game for this clash, adding some impressive body shots to her repertoire in round five which began breaking down the steely Brazilian. Hooks to the body followed by relentless combinations to the head had Volante looking shook. The Connecticut based fighter appeared more measured in rounds six and seven as Volante landed some body shots of her own but if anything it only spurred on the sharp footed Taylor. In round eight Taylor emerged with an onslaught of quick fired combos as she ramped up the ante looking for the stoppage. In the end, it was an accidental clash of heads that undid the Volante challenge, a nasty gash appearing on the bridge of her nose after she reached in to catch Taylor at the end of round nine. Volante leaned onto referee Benjy Estevez and the official called a halt to proceedings when he saw his bloodstained shirt. Volante did protest but Taylor at that stage had every round in the bag. It was a funny kind of stoppage, she just kind of turned her back and walked back to the corner. Then, the ref just waved it off. I was obviously delighted. I was like, ‘Thank God! I can relax now’”. 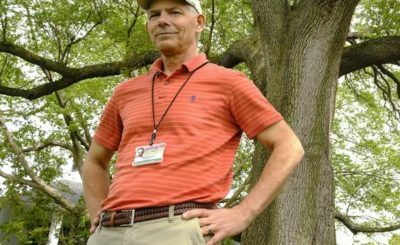 “I knew she was on her way out. Sometimes it is very, very hard to stop these opponents at this level. It was a very, very tough fight. She took a lot of punishment. “Now we can start talking about Persoon” Taylor said afterwards. We have to get that fight on next. A June 1st date on the Anthony Joshua v Jarrell Miller card at Madison Square Garden now looking ever more likely. 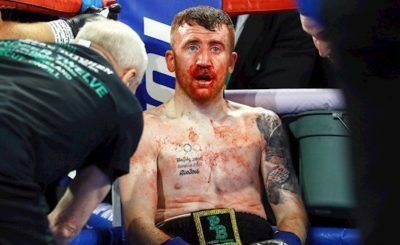 “When I first sat down with Eddie [Hearn] and Brian [Peters] a few years ago, I said I wanted to become the undisputed champion. That’s always been my goal since I have turned pro. That would be absolutely historic. That would be equal to winning the Olympic gold medal for me”. Elsewhere Dubliner Jono Carroll lost little in defeat against IBF world super-featherweight champion Tevin Farmer. The 26-year-old lost out by unanimous decision to the hometown favourite after a courageous performance. 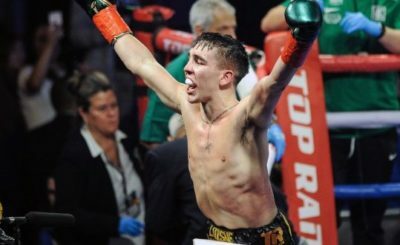 2012 Olympic silver medalist John Joe Nevin defeated Andres Figueroa by unanimous decision in a six round contest, extending his unbeaten run to 12. 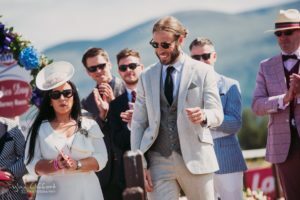 This article first appeared in the Irish Examiner on March 16th, 2019. To view the original version, click here.